H.J . Heinz in The Netherlands has started the implementation of the HAI*QPM software at their manufacturing facility in Elst. This production site, responsible for the production of Heinz tomato ketchup and sauces for Europe, is equipped with the HAI*QPM software in order to create a digital lab and enable statistical quality and process control in production. Heinz uses the software through internet in the HAI*QPM Cloud at the Fujitsu data centre. 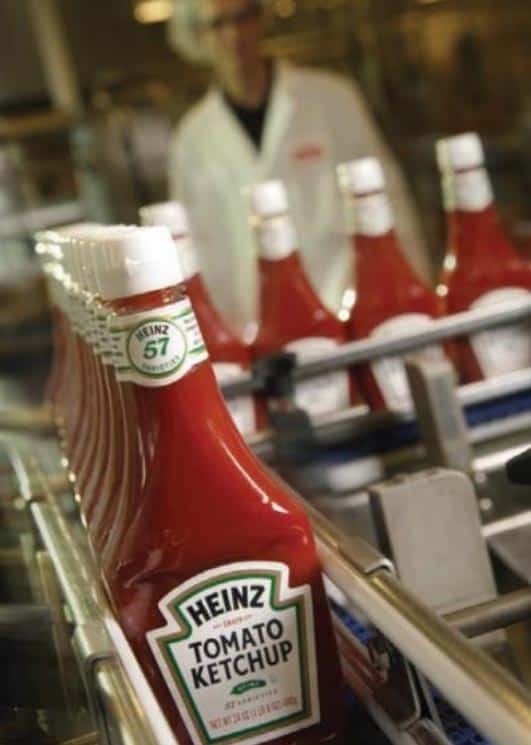 It goes without saying that the production of ketchup and sauces at Heinz’ manufacturing facilities is being controlled strictly, to make sure each bottle of ketchup that leaves the plant lives up to the Heinz standards. With the implementation of the HAI*QPM software, quality and process control is brought even to a higher level. In line with the company’s founder Henry J. Heinz’s motto, the plant aims “to do a common thing, uncommonly well”. “HAI*QPM is a Cloud solution, developed on the SAP Netweaver Java platform, fitting perfectly in Heinz’ corporate SAP strategy”, says John Rutten, project leader. “Another important requirement for this project is the availability of global support from HAI and ATS, since this allows us to roll-out the software to other Heinz facilities all over the world.” Heinz has chosen to work with the HAI*QPM Cloud at the Fujitsu data centre. Here HAI*QPM is made available for the customers, sourcing the same application and sharing infrastructure and database to gain costs and performance advantages. A key advantage to this cloud solution is that all data is centralized and accessible over the web from any place at any time, and its use can be extended easily to other Heinz production facilities. Throughout the world, Heinz is synonymous with ketchup, selling 650 million bottles of Heinz ketchup every year. The H.J. Heinz Company, headquartered in Pittsburgh, Pennsylvania, is the most global of all U.S.-based food companies. Famous for its iconic brands on six continents, Heinz provides delicious, nutritious and convenient foods for families in 200 countries around the world. In more than 50 of those countries, Heinz enjoys the number-one or number-two market position. HAI in The Netherlands (www.hai.nl) is the owner of the HAI*QPM Cloud software, an Enterprise Manufacturing Intelligence (EMI) solution to help manufacturing companies accelerate operational performance initiatives, drive operating strategies and capture actionable insight in production & quality compliance. Using HAI*QPM, manufacturing teams can create real-time information on Production- & Quality Compliance and Traceability and drive corporate initiatives like Lean, Six Sigma, TPM, and other continuous improvement methods. ATS offers solutions in the domain of Industrial Automation, with specific expertise in the area of OEE and MES. ATS is global distributor for HAI*QPM. Newitera (www.newitera.nl) is responsible for system management of the HAI*QPM Cloud. HAI*QPM is successfully implemented at Pepsico, Aviko/Cosun, Elopak, Intertaste, IFF and Yakult.